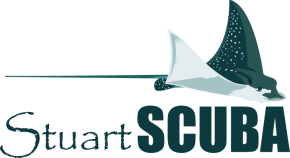 Stuart Scuba will train you on how to use a reel and safety sausage or surface market buoy (SMB), along with expanded boat and drift diving skills. We will teach you advanced navigational skills, help you improve your buoyancy, and give you the knowledge and training needed to dive deeper. Discover Nitrox is also available at no additional charge for those wishing to try it on the boat diving portion of your course.